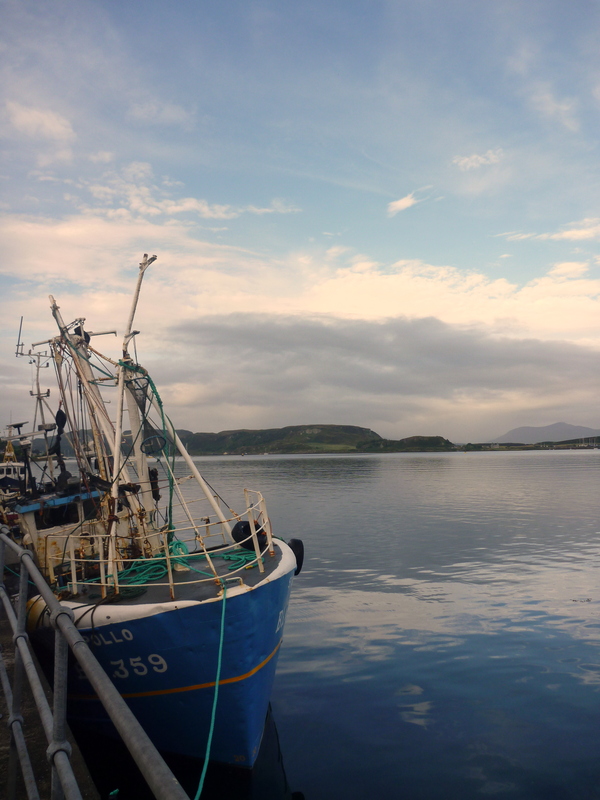 When entering the resort town of Oban on the west coast of Scotland, it is hard not to notice how perfectly situated this town surrounds the bay on the Firth of Lorn. It is protected by islands to the west and to the north. 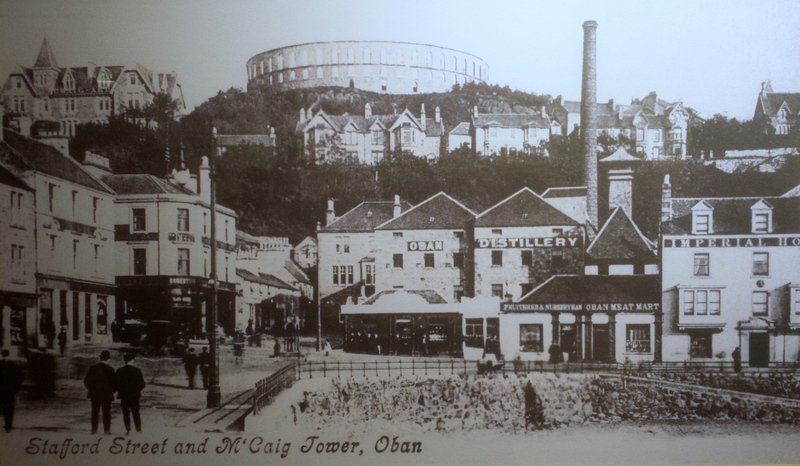 The modern town of Oban actually grew up around the distillery, which was founded in 1794 by the Stevenson brothers. It is so centrally located that it is not necessary to drive there. Just by walking around the corner from our hotel, we were at the doorstep of a beautiful stone building housing the distillery and its classic single malt. The three in our group signed up for the Sensory and Flavours Tour in the afternoon on a busy Sunday in Oban. The tour began with an overview of its history and the many changeovers of ownership since 1794. It is currently owned by Diageo who acquired it in 1989 through a merger. The water source for their whisky comes from Loch Glenn a’Bhearraidh. 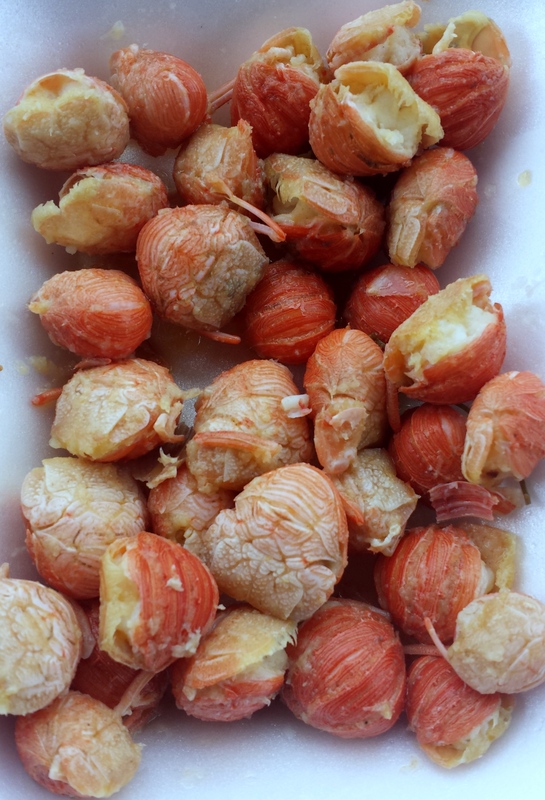 The four primary senses that the tour guide told us to look for were: 1. smoky, 2. sea salt, 3. orange peel, and 4. honey. The malting of the barley does not happen on site as is the case with most distilleries in Scotland. They do add a small amount of peat to their whisky which distinguishes it from many Highland malts. When they grind the malted barley, they are looking for a composition of 20% husk, 70% grist and 10% flour. They use a sieve to check the consistency of the grind. 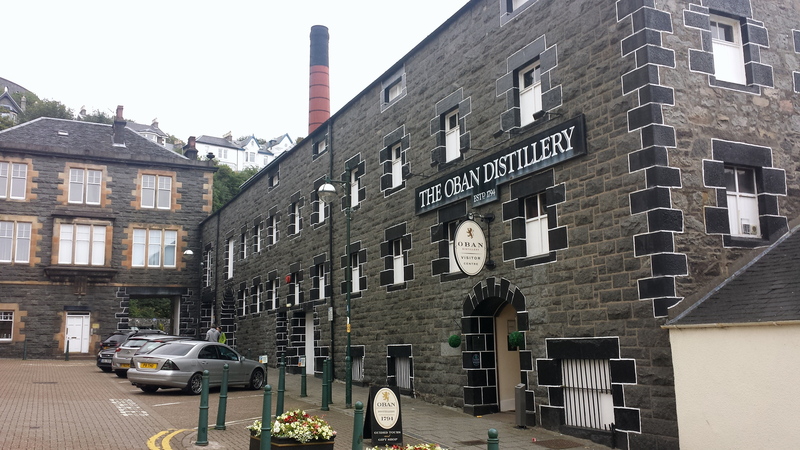 That is one thing we heard from Oban that we didn’t hear from many other distilleries. Once ready, the ground malted barley is placed in the mash tun, or a large vat of heated spring water and goes through three water stages, each at an increasing temperature. At Oban the first stage was at 64°, the second at 78°, and the last at 83°. They do 6 mash tuns per week at the Oban distillery. Once the starch in the barley is converted into sugars, the wort (sugar liquid) is placed into one of four washbacks for fermentation. 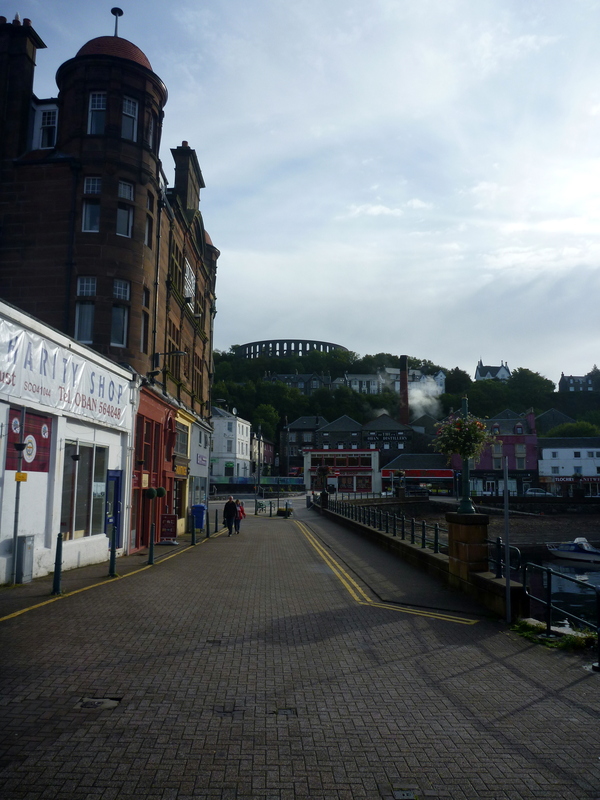 The washbacks at Oban are made of European Larch and will last up to 40 years. When they need to be replaced, the roof at Oban is detachable and they can be lifted in and out of the distillery. Each washback can hold up to 36,000 liters of content but they are only filled up to 31,000 liters initially since the yeast will cause the froth to grow and you don’t want the washbacks to overflow. It takes about 4 days for fermentation in their washbacks which produce a 9% wash. The washbacks get steam-cleaned between each use. At Oban there are two copper stills: a wash still that holds 18,880 liters and a spirit still that holds 8,296 liters. The spirit receiver holds up to 5,270 liters. 25,000 liters of newmake are produced every week. During the tour, we had the privilege of tasting a 58.2% 11-year-old cask strength sample, straight from the cask. Pretty cool. 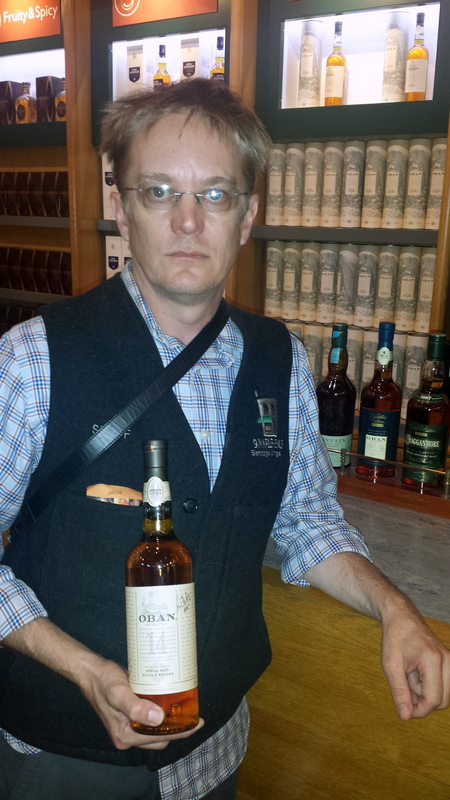 Charles’ Thoughts: Oban was one of the first single malt scotches that I tasted in my life so it is fitting that it is the first distillery in Scotland that I visited. The town was quite impressive and so was the distillery. Unfortunately they did not allow pictures inside of the working part of the distillery for “safety” reasons and this became common among some of the large corporate-owned distilleries that we visited. 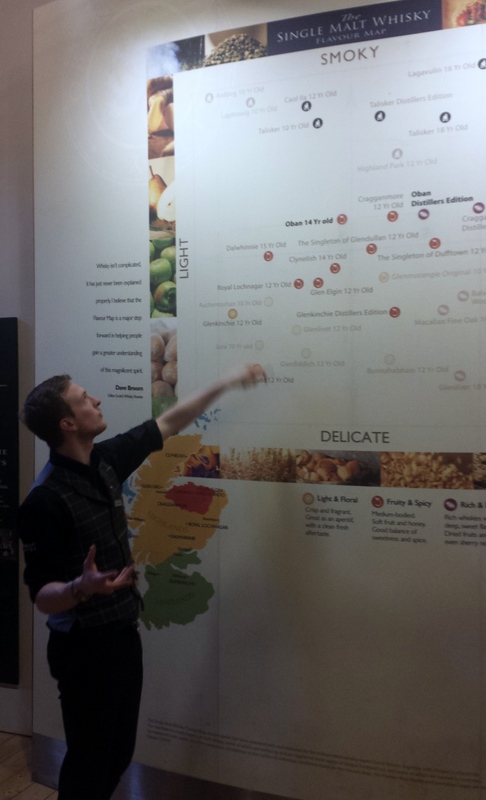 But I do have to say that the tour was very informative, the guide great and the distillery quite stunning. It was just amazing that it was in the middle of such a beautiful town. And it doesn’t hurt that their 14 year-old malt is still one of my favorites. A parting shot. 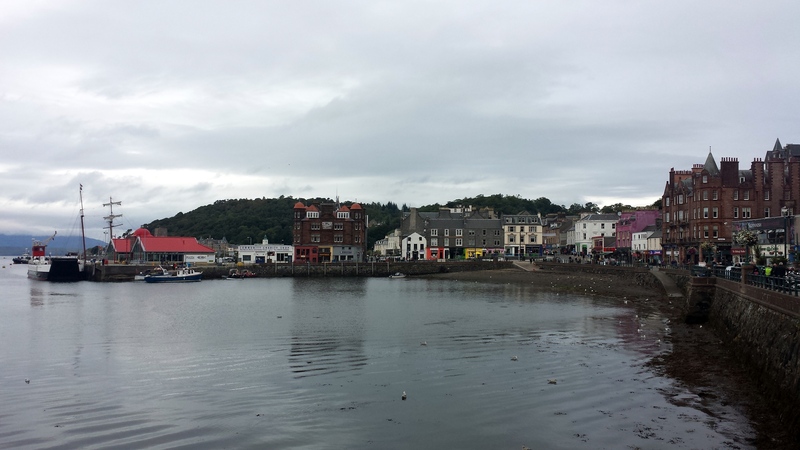 Goodbye Oban, we enjoyed our time here.